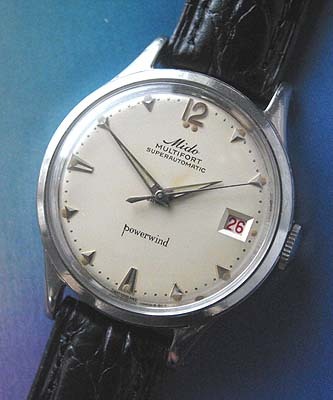 Vintage Mido automatic Multifort wristwatch. 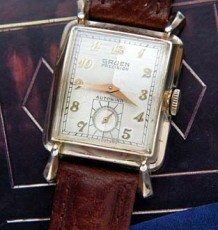 Another wonderful vintage look from his well respected Swiss brand. 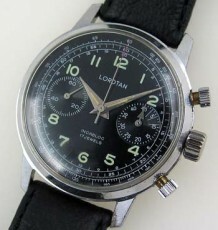 The dial has a slight radium burn from where the hands sat for an extended period while the watch was in storage. 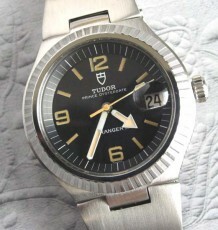 Please note the large arrow head hour markers with the date wheel indicating the date in RED. 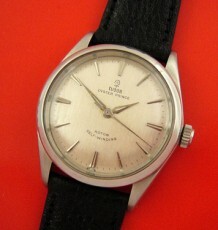 The stainless steel case is in excellent condition with no tool marks on the stainless steel screwback. The Mido 17 jewel automatic movement was just serviced and is keeping great time. The watch measures 33mm by 41mm long and is supplied on a brand new padded leather strap.